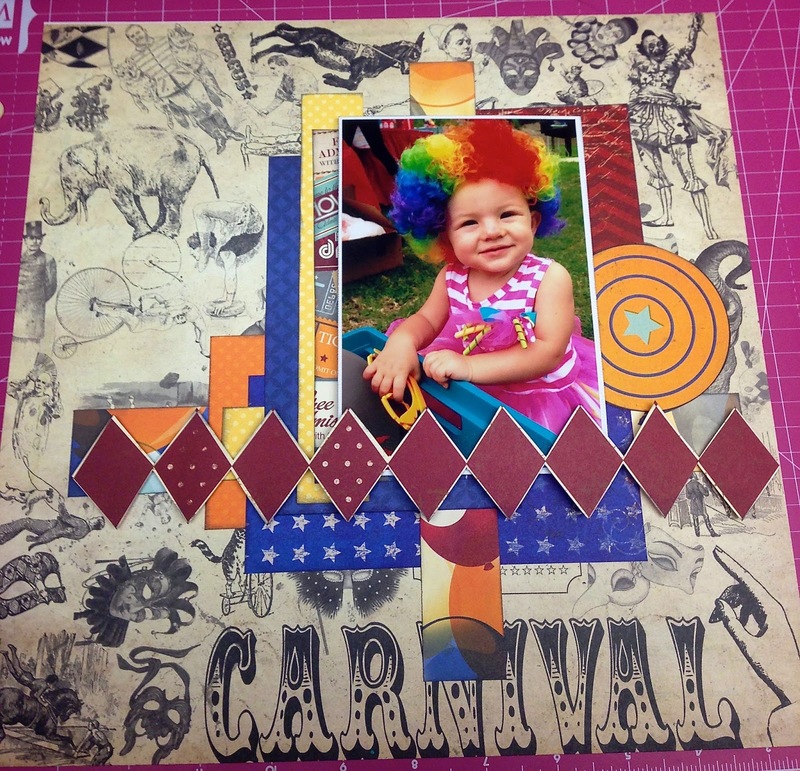 Do you love all the patterned papers you get in a collection, but not sure how to incorporate them all in your layout? 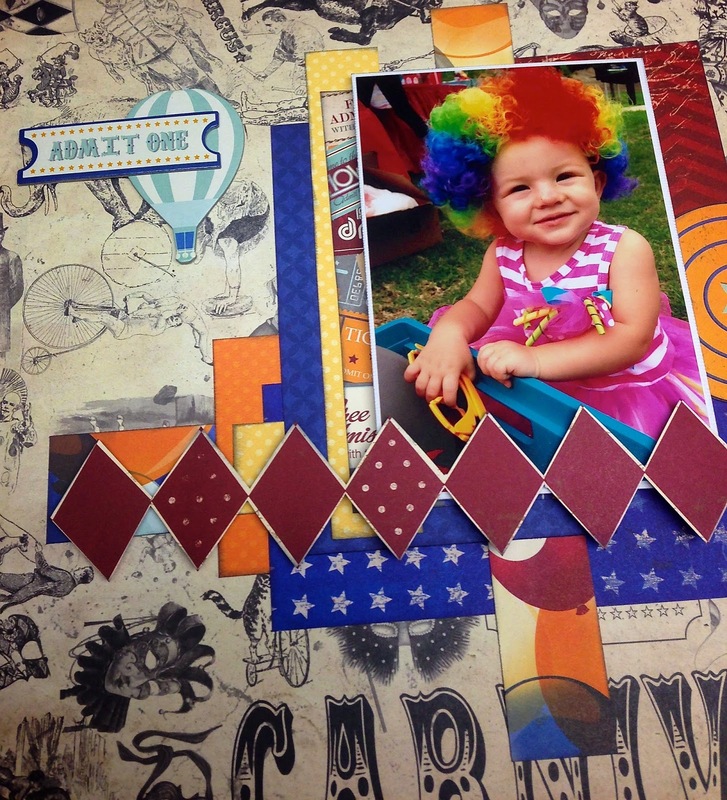 Do you love seeing fun layers in a layout? If so, this is the layout tutorial for you! 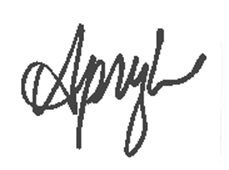 This is Apryl with FotoBella's Design Team and today I didn't hold back when it came to using a lot of patterns and layers. 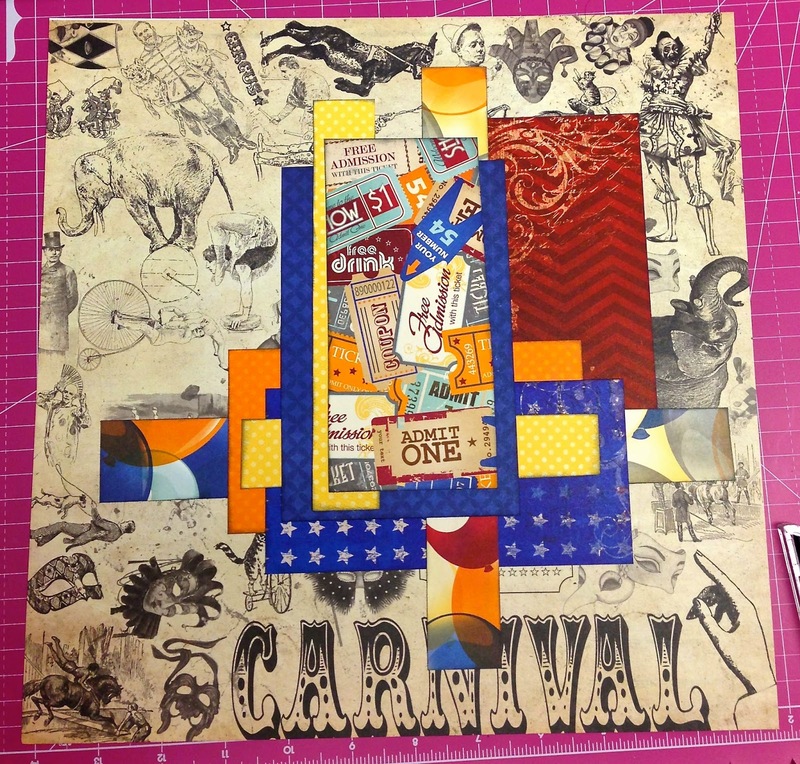 Get the Bo Bunny Carnival I Want It All Bundle and let's get started! 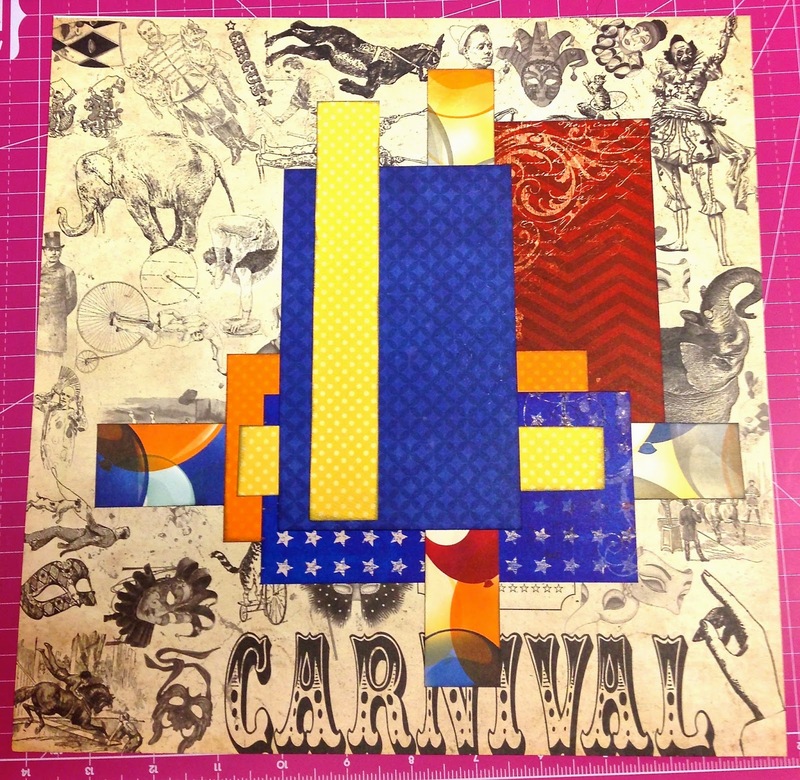 Supplies Needed: "Calliope" paper, Ephemera pack, Chipboard Stickers, "Funhouse" paper, yellow polka dot ribbon, Red & Blue Stickles, Cardboard, White card stock, 4x6 photo, Big Bite, Paper Trimmer, Scissors, Adhesive, Blue Pen for journaling, Poolside foam Thickers for Title. 1. 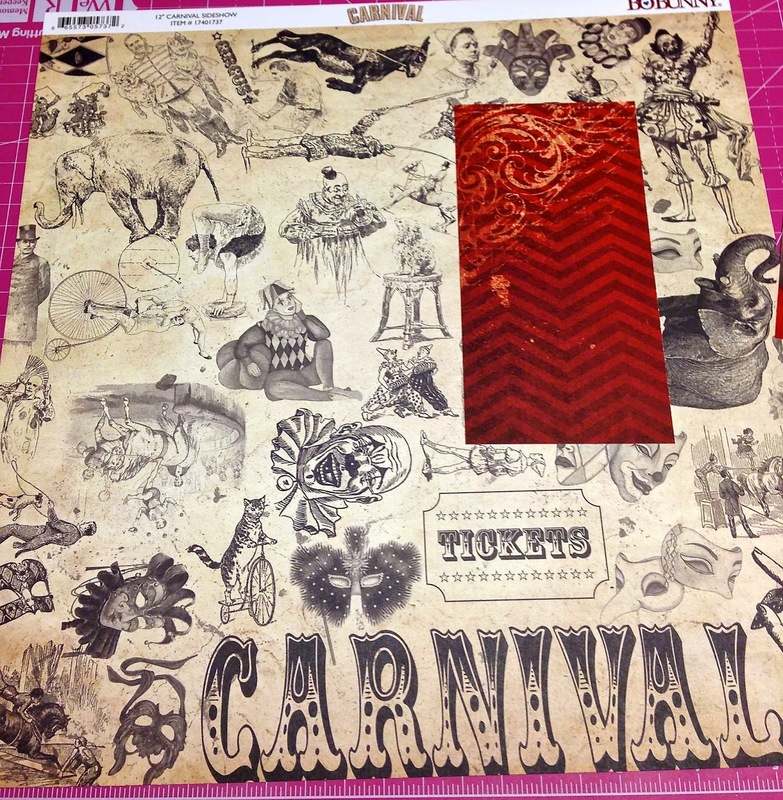 Start with the "Calliope" paper for the background, choose the rectangular red piece of patterned paper from the Ephemera pack and place it towards the top right of the background paper. 2. Cut a one inch strip of balloon paper and lay it horizontally across the red paper. 3. 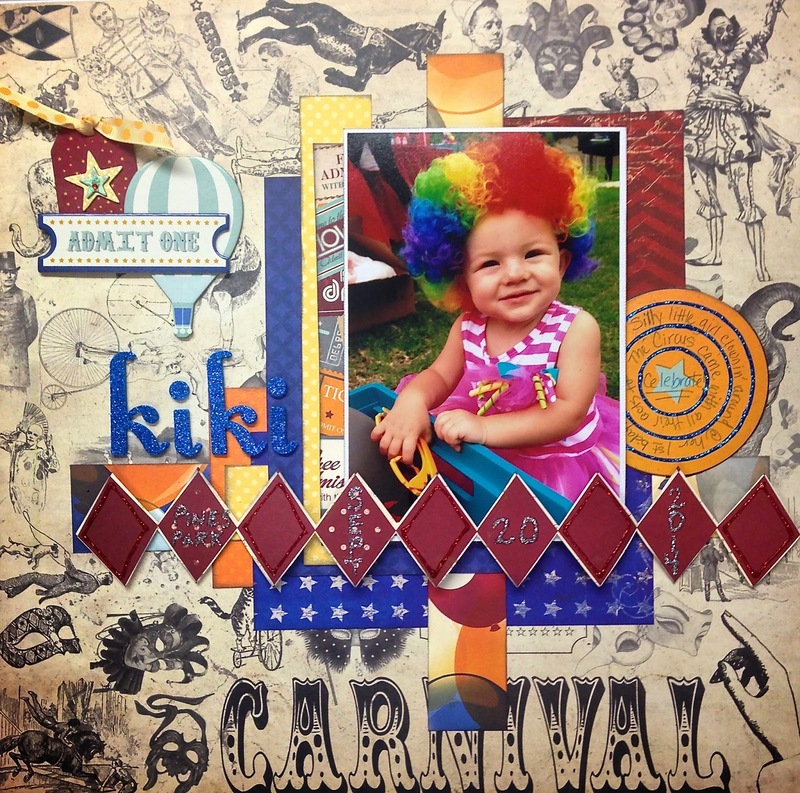 Select the orange and blue & white stars paper from the Ephemera and layer them on top of the balloon strip. 4. 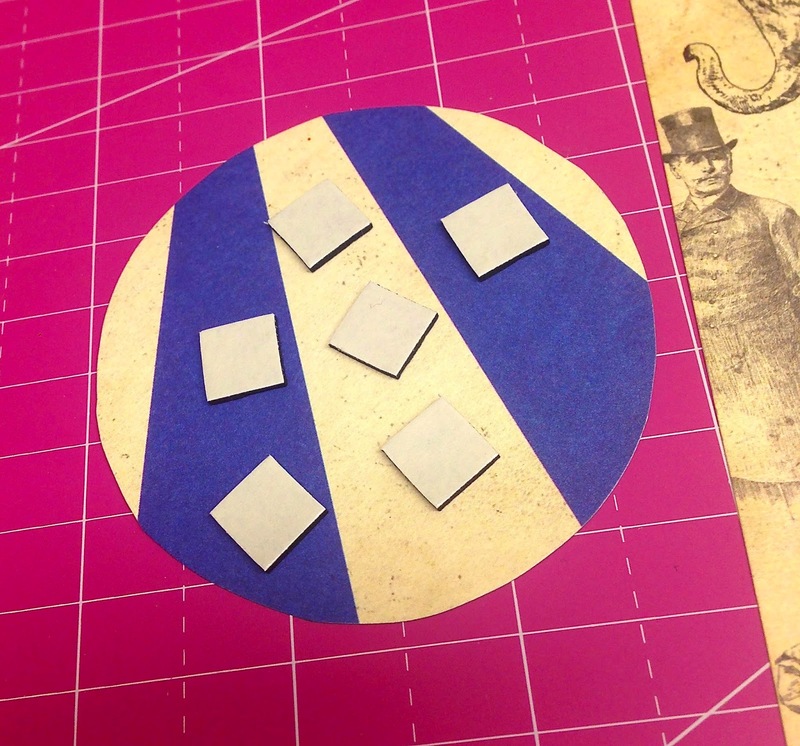 Place a small strip of yellow paper, from the Ephemera pack, on top of the blue & white star paper. 5. 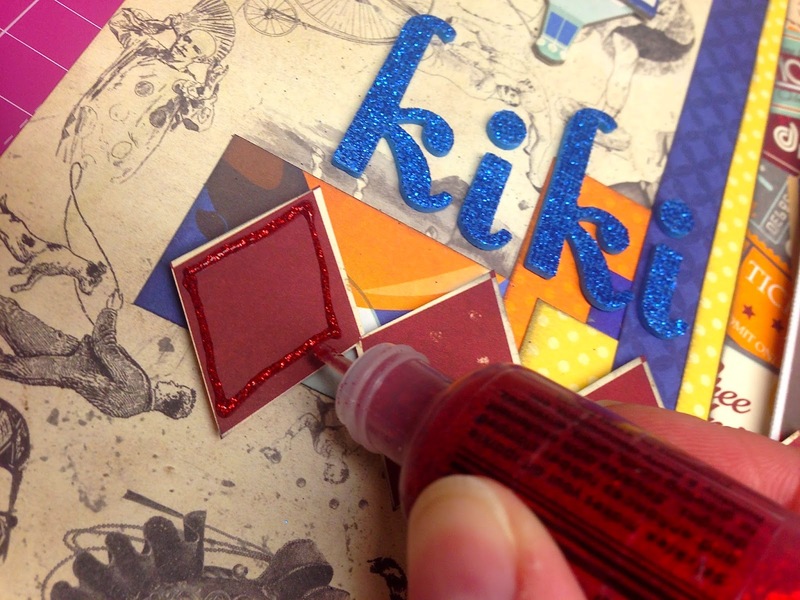 Using another one inch strip of balloon paper, lay the strip vertically across the already layered papers. 6. 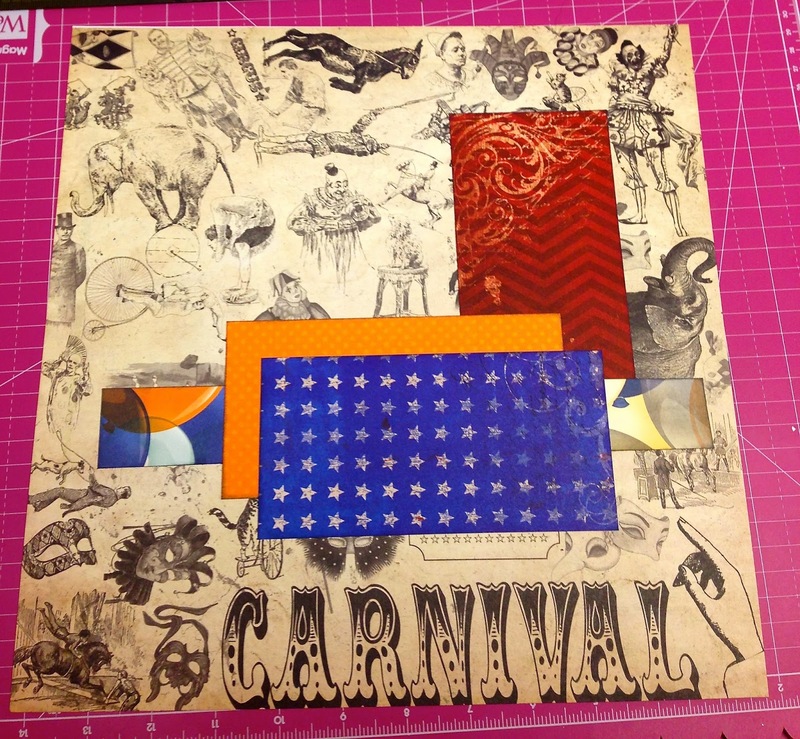 Place the blue dot paper from the Ephemera pack over the top of the yellow strip and vertical balloon strip of paper. 7. Place a second yellow strip of paper vertically on top of the blue dot paper. 8. 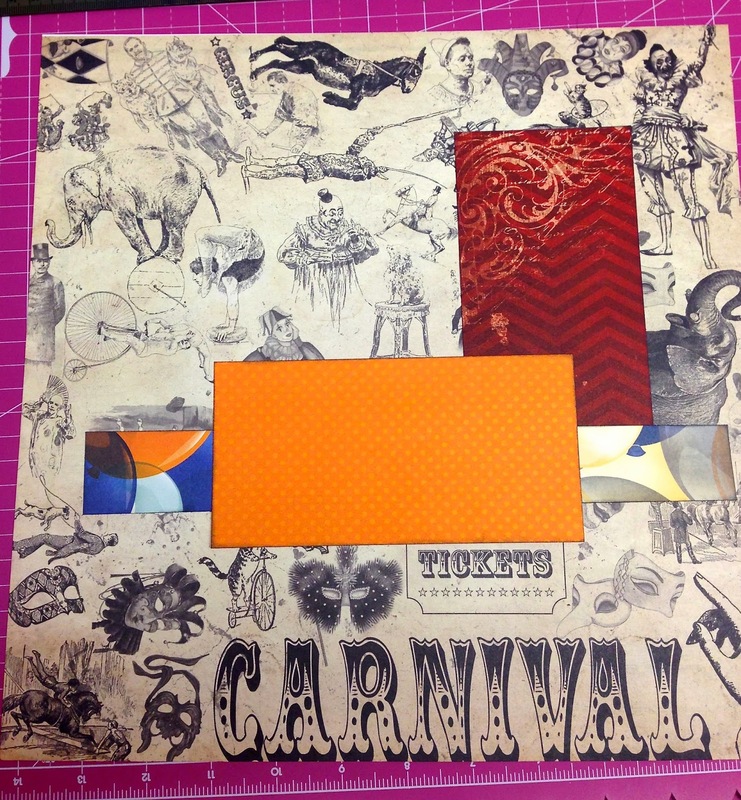 And lastly to complete the multiple layered background, place the piece of admission tickets paper, from the Ephemera pack, vertically on the blue dot and yellow strip paper. **This has a lot pieces to layer, but I promise you this layering is worth it! 9. I used textured white card stock to matte my 4x6 photo with. 10. 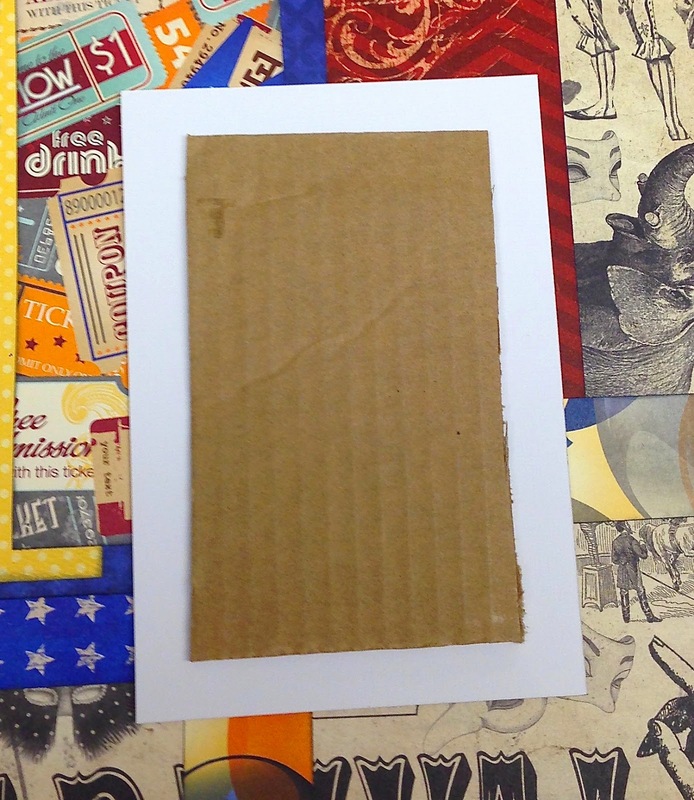 Cut a piece of cardboard, smaller than your matted photo, and glue to the back of the matted photo. This will pop it up off all of those beautiful layers. 11. 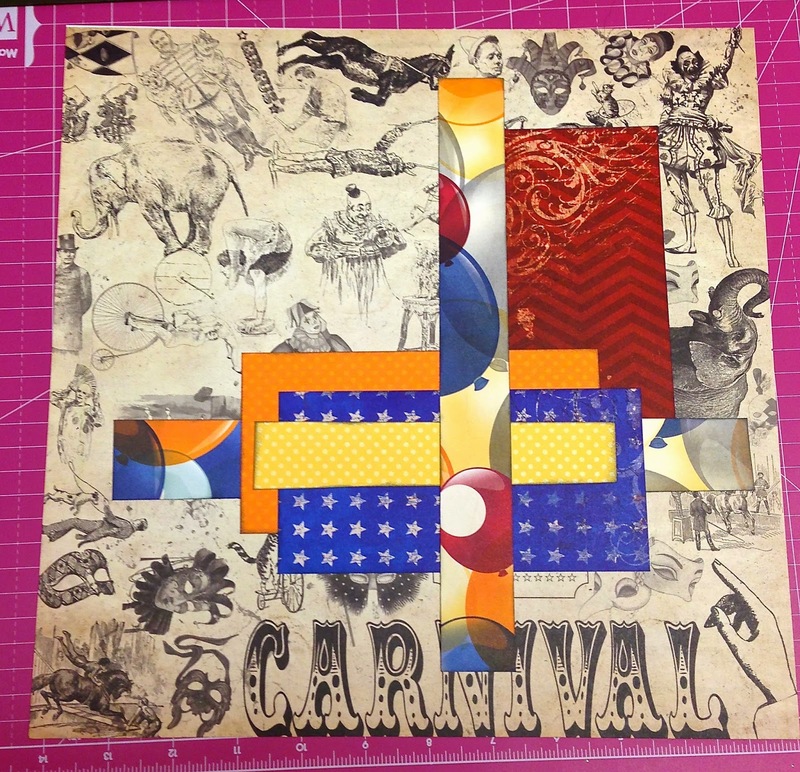 Cut out the spiral circle and place foam squares to the back. 12. 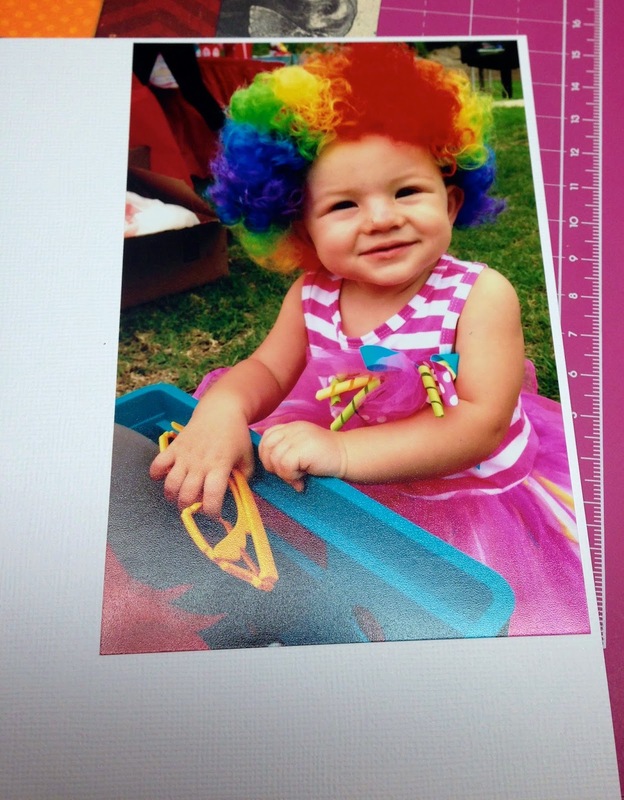 Tuck the circle slightly under the matted photo on the right side of the page. 13. Fussy cut a strip of red diamonds from the back side of the "Funhouse" paper, place foam squares on the back of each diamond and lay across the page, slightly overlapping the photo. 14. 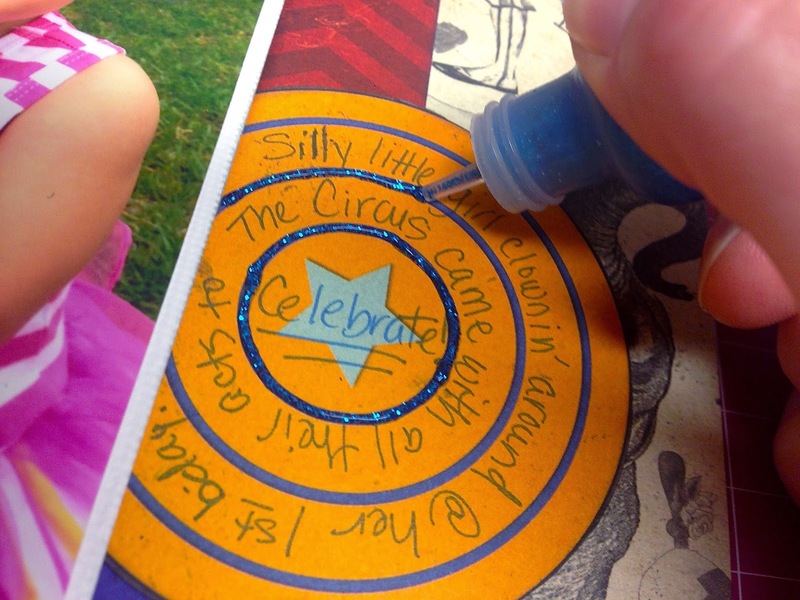 Journal around the circles and trace the blue lines with Stickles. 15. 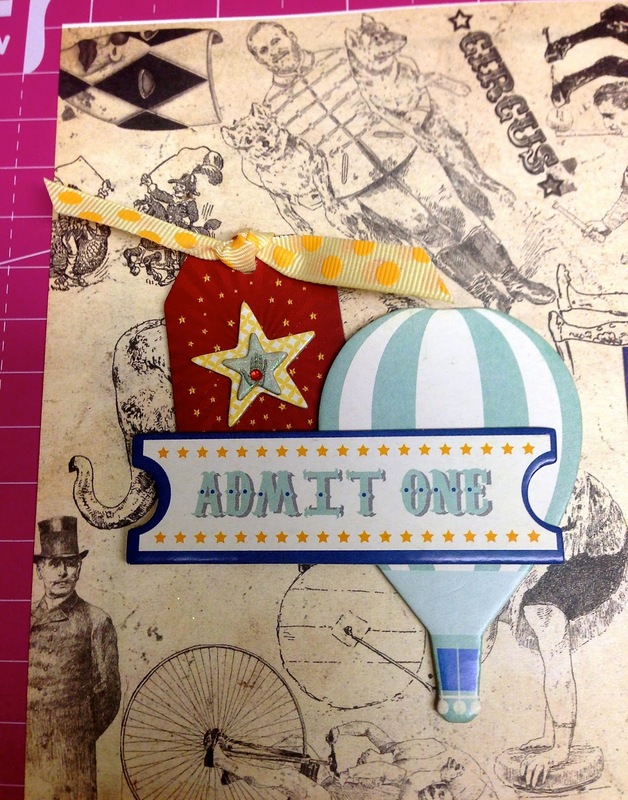 Select the chipboard pieces, "Admit One" ticket and hot air balloon. 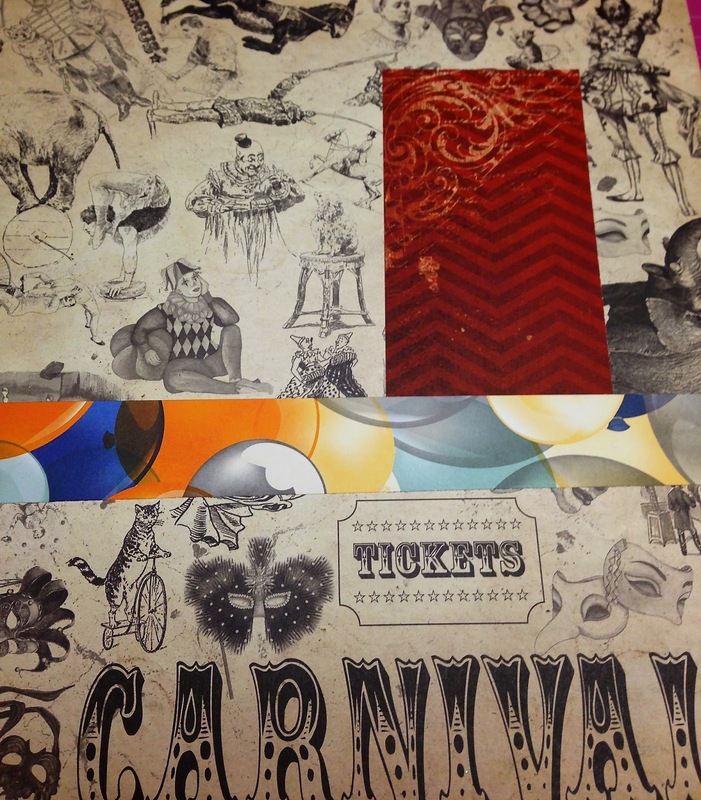 Place them to the left of the layered paper area, overlapping the ticket on the hot air balloon and offset it to the left. 16. 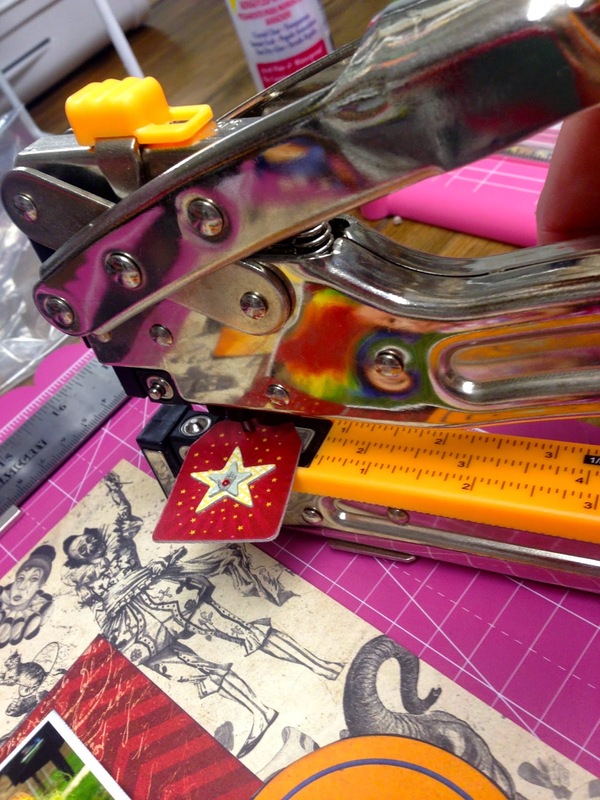 Taking the red chipboard tag, make a hole at the top with the small hole punch setting on the Big Bite so that a ribbon can be tied through it. 17. 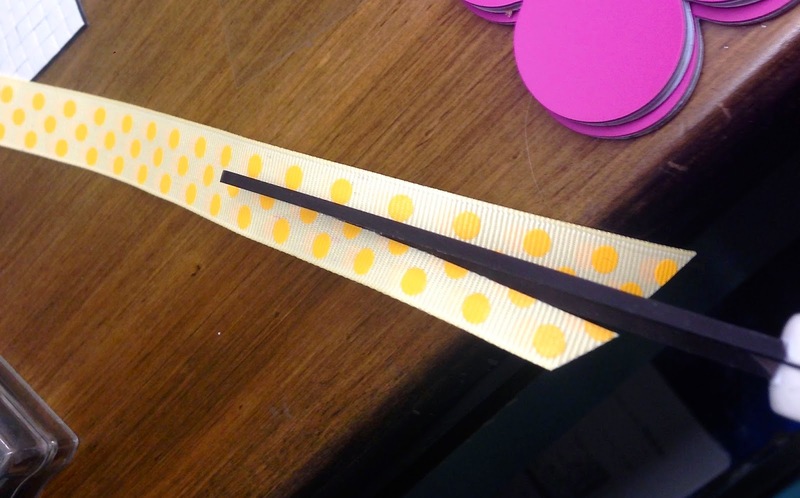 Select the yellow dot ribbon from the Ephemera pack, cut it in half length wise for about six inches. 18. Tie it through the chipboard tag, and trim it to a desired length. 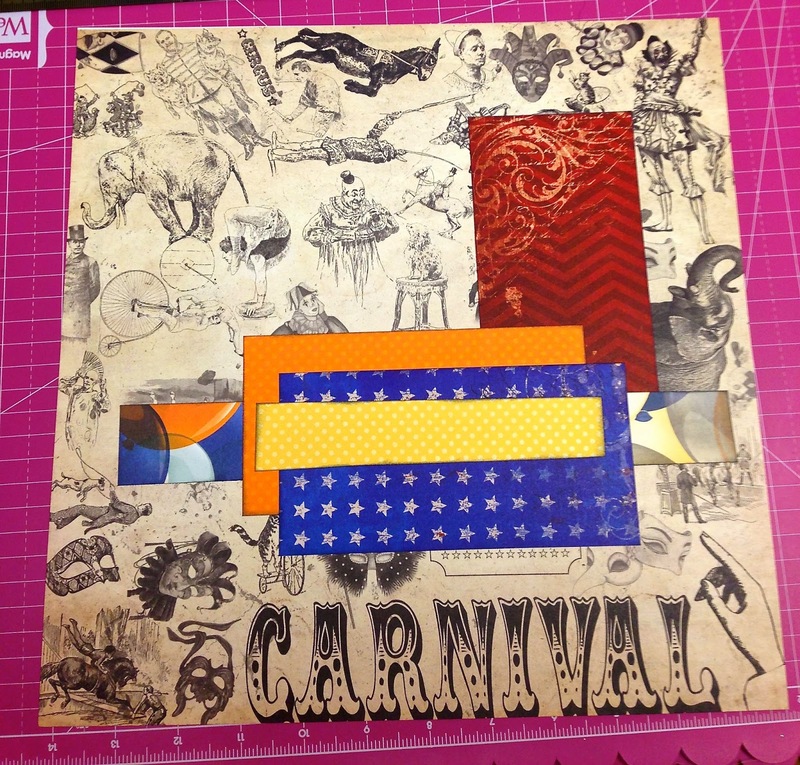 Tuck the chipboard tag slightly behind the ticket and hot air balloon. 19. 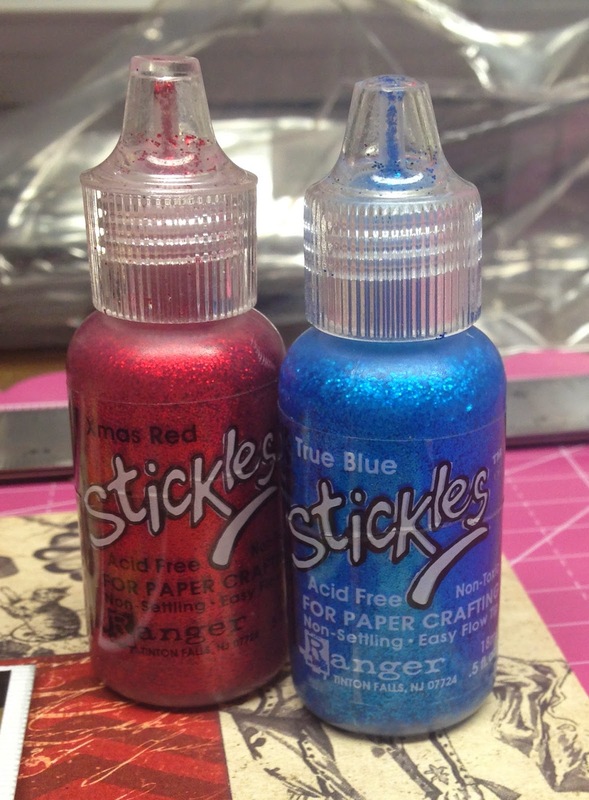 Continue to embellish the page with Stickles. 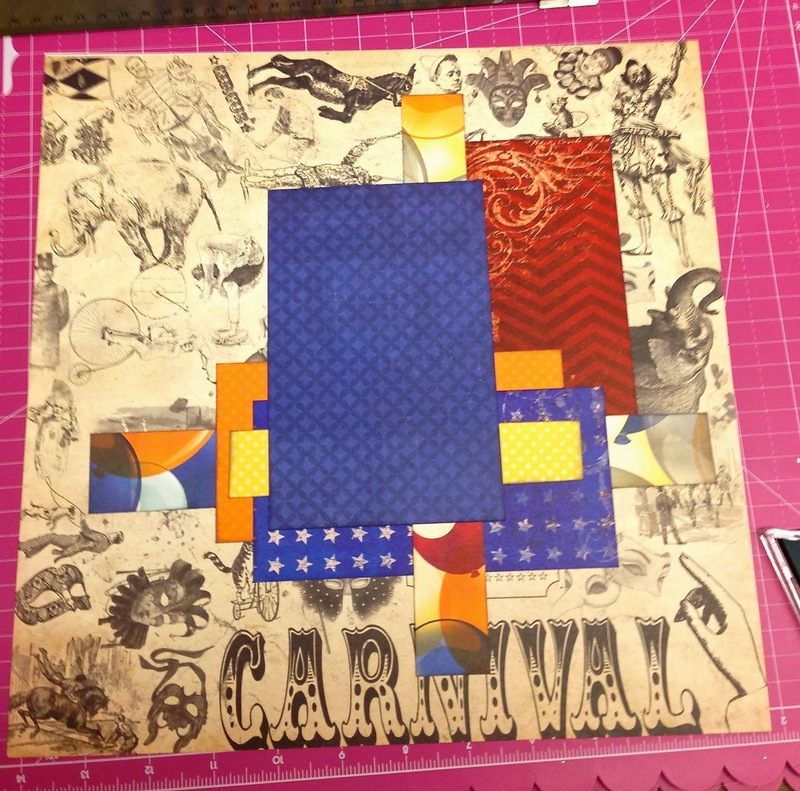 I used Xmas Red on the diamonds and True Blue on the journal circle shown above. Poolside foam thickers were used for my daughter's nickname "Kiki". And here is the final result of all of that hard work of layering and stickling away.